Why the S in Fish Days? 10am – 3pm. Pick up your shirts at Lake Financial Group (map). After 7pm you can find us at Newport Shores at the outdoor bar in back or at our garage on the corner of Lake and Jackson. 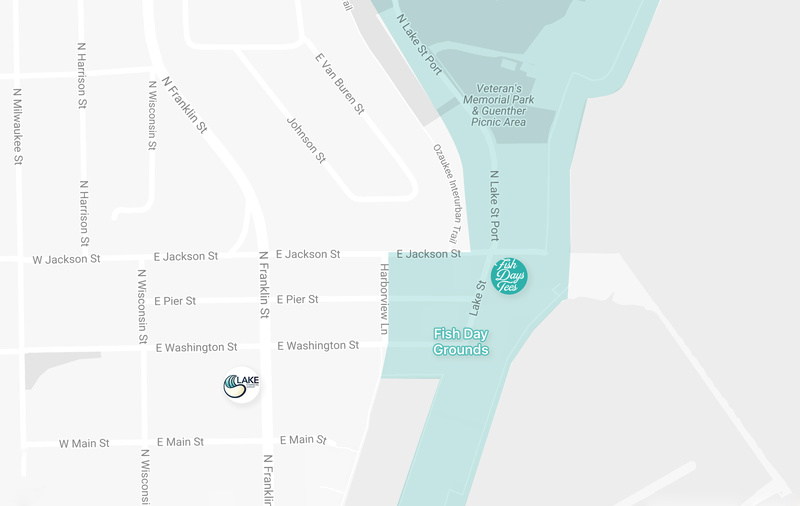 Stop by our tent on the corner of Lake and Jackson (map) on the Fish Day grounds (near Newport Shores) on Fish Day and we’ll have it ready for you! Born from the love of fish, chips, and more cowbell.